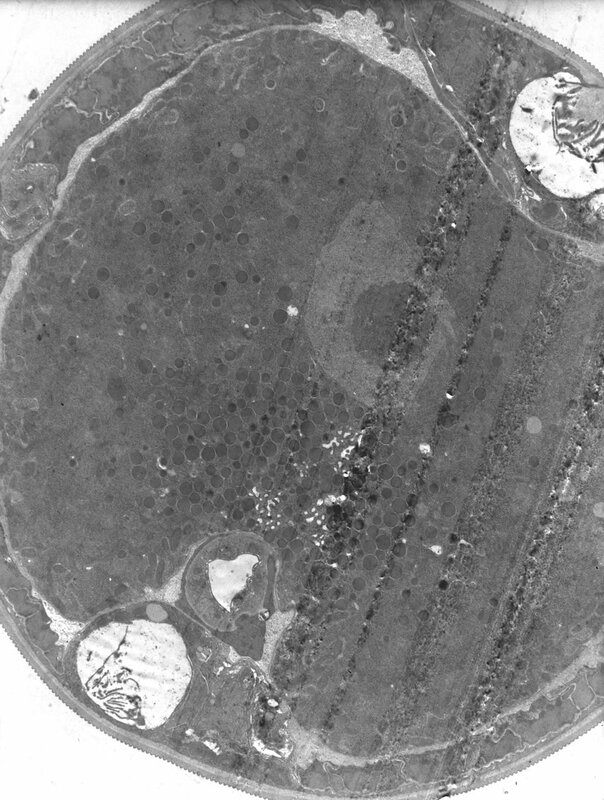 Trichinella spiralis has developed many features that have helped this organism adapt to its parasitic lifestyle. One of the most important structures that they have developed is called the buccal cavity. The buccal cavity is very similar in function to our mouth. It contains teeth, which help this organism adhere to the substrate, whether it be a blood vessel or skeletal muscle. The buccal cavity also supplies this organism with a place to take up nutrients from its surroundings. The development of a hydrostatic skeleton has also played a roll in the successful evolution of this Trichinella species. The hydrostatic skeleton helps with movement by supplying a solid structure that the muscles can work against to create movement. Movement is especially important in parasitic organisms because they need to be able travel through very small crevices and threw viscous liquids, such as the blood. The hydrostatic skeleton allows these nematodes to reach destinations within humans, such as the intestine, where they produce their larvae. Furthermore, the development of a tail has helped in locomotion. The tail also supplies a place for caudal glands, which are responsible for secreting an adhesive mucus that helps this organism stick to the substrate of interest. It is important for these organisms to sense the environment especially since these parasitic organism don’t have eyes like humans. They accomplished this by their well developed structures called amphids. Amphids are specialized sensing structures located on the laterally sides of the head. With the presence of amphids, they are able to sense and then adapt to their surroundings. The presence of a simple nervous system consisting of a dorsal and ventral nerve cord allows them to interpret information coming from their sensory organs such as the amphids. With this information they are able to react to their environment better and have an increased chance of survival. Growth is another important factor that effects the evolution and adaptation of organisms. T. spiralis grows via a structure called a cuticle. The cuticle is located on the external aspect of the worm and is shed off to allow these organisms to grow and develop. Some advantages to increased size are increased multicellularity, which allows for a faster organism. Increased multicellularity also helps buffer these organisms from environmental damage. A larger body size all results in a discount metabolic rate per gram of tissue.